wow! and you brought it back to your theme of the week, bowel movements. impressive. 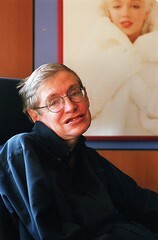 I am only one person separated from Stephen Hawking, being related to someone who almost ran him over with a car. Cool, huh? Can you still doubt there is a personal god now? !